Blake Torrey | Debut Toast To The Stars EP and singles Lie Til It’s True & Midnight Cure available on iTunes/Spotify! Blake Torrey is country singer/songwriter from Central Texas with an authentic, contemporary sound. 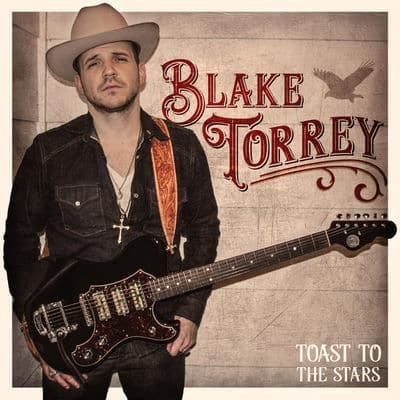 Following a colorful stint in a country cover band, Blake Torrey stepped on the scene as a country artist in his own right in the fall of 2016, bringing rollicking live music to hometown bars, benefits, and festivals. His musical style is marked by straight-shooting lyrics, polished songcraft, and upbeat hooks that linger in your head for days. His debut EP, Toast to the Stars, set for release on June 30, was created after a season of intensive songwriting and recording. The new release features three songs written by Torrey and his first radio single, “Last Night,” which is being promoted nationally by Nashville-based Grassroots Promotion. Torrey will be promoting the EP this summer at country music venues across Texas and beyond, with shows planned at Coupland Dance Hall and the Bastrop Homecoming & Rodeo. After picking up the guitar at age 12, Blake Torrey got an early start performing live music in his family’s bluegrass/gospel band. Growing up, he frequented historic Watterson Hall, a rustic honky tonk in Red Rock, Texas. Early influences like George Strait, Clint Black, and Keith Whitley kindled his longtime love of country music. Later influences like Chris Stapleton and Sturgill Simpson inspired him to carve out his own brand, exploring timeless themes like the grit of heartbreak, the comfort of worn-in love, and the longing for redemption. A self-described weekend warrior, Blake maintains a career in anesthesia while promoting his new EP. In his spare time, he enjoys deer hunting and managing his 30 acres of rural Texas land. My new EP Toast To The Stars is now available for pre-order!